Last summer, when I posted 21 Rays of Sunshine, I told you about my love of line-drying laundry. Really. It's one of my favorite tasks in the world. Something about it just works for me—so peaceful, natural and fresh. If you've never been a line-dryer, please o' please give it a whirl. Maybe the magic will happen for you, too! Here are a few tricks I've picked up over the years to help make the workload a bit easier. 1. Use an old gardening bag and a hanger to store clothespins. I just slide the bag down the line as I add each item. Easy peasy! 2. Wet laundry is cuh-raise-zee heavy. I use my daughters' stroller to wheel clothes from the washing machine to the clothesline. I've also found that it's easier on the back to have the basket elevated. It prevents excessive bending to grab each item for hanging. 3. Hang shirts upside down to prevent pulling/warping on shoulders. 4. 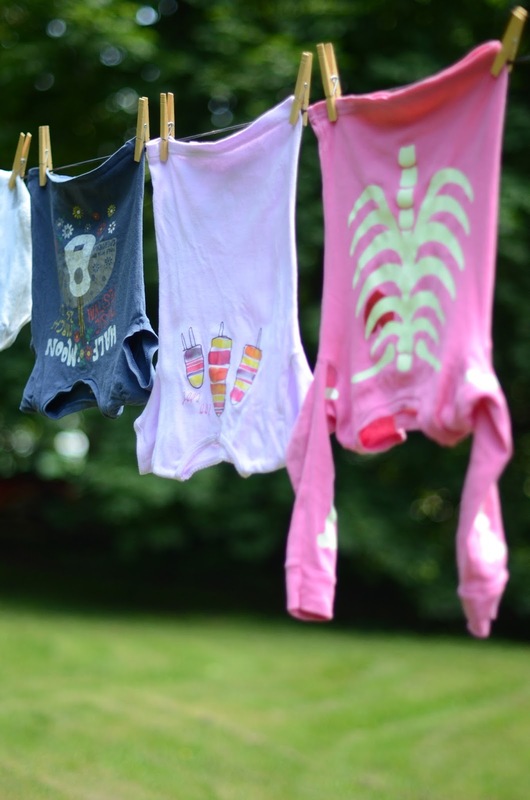 Skid Row- If you have wee ones who tend to leave the occasional COUGH residue, flip skivvies inside out and hang so that stains face the sun. 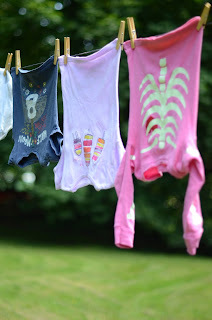 You'll be amazed at how wonderful the sun is at bleaching out stains! 5. And on that note, if you want to preserve bright colors, flip clothing inside out to prevent color fading. 6. Line dried laundry smells so fresh. Knock out the STANK from sweaty socks by lettin' them blow in the breeze. 7. If you like super soft towels, do NOT line dry. Line-dried towels have more of a crisp feel, which many people prefer. Hit up your electric dryer if you're more of a softy. 8. 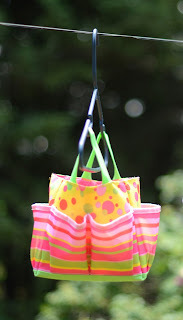 Run a wet rag over your clothesline before hanging laundry. 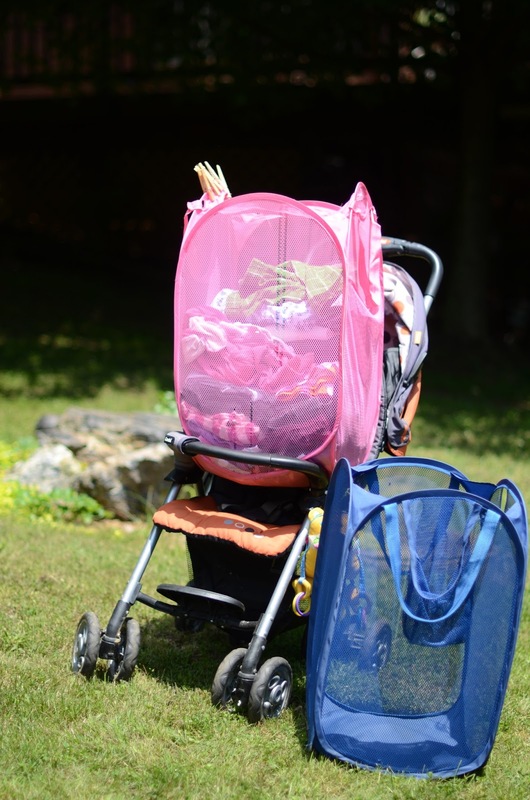 Dirt can accumulate on the line and will transfer to your clean clothes/linens. I forgot to clean the line and got dirt marks on this clean sheet. Drat. 9. Listen. My favorite part of line drying laundry is soaking up all the sounds that surround me. You'll hear birds, breezes, crickets...you name it. You'll love all the sweet sounds of nature that serenade you as you "work" out there. 10. Save energy...and a buck. On a hot, sunny day, your laundry will be drier faster and smelling fresher if you hang it out on the line, and you're sure to save money and energy by avoiding the use of an electric dryer. Try it out, friends! See if you can dig that colonial groove and get down with line drying your duds. Check this post out if you missed it last time- Underwear in the Air. Sending you lots of sunshine so you can whistle while you work.